1 AU (in overseas collection) 1 XF 3 VF (This note is one of the three) 2 FINE 3 Impounded in institutions 4 permanently damaged. Of the 7 notes that are out of commission, I am not sure of which ones they are. 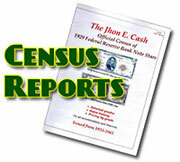 The front features the head of John Marshall and the reverse features a scene from DeSoto discovering the Mississippi River. If you want to invest in a rare note or you are looking to put a district set together this will be one of the tougher ones to obtain. Almost all of the uncirculated or high grade almost uncirculated 1918 $500 and $1,000 FRN notes were purchased by an overseas buyer when Lyn Knight auctioned off the famous Rickey Collection of 1918 $500 and $1,000 FRNs several years ago in Chicago. 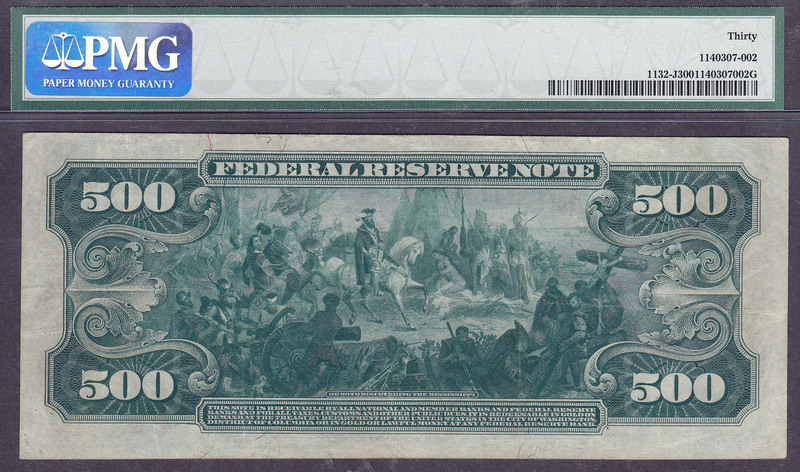 This note has serial number J4541A been graded as a Very Fine-30 by PMG. 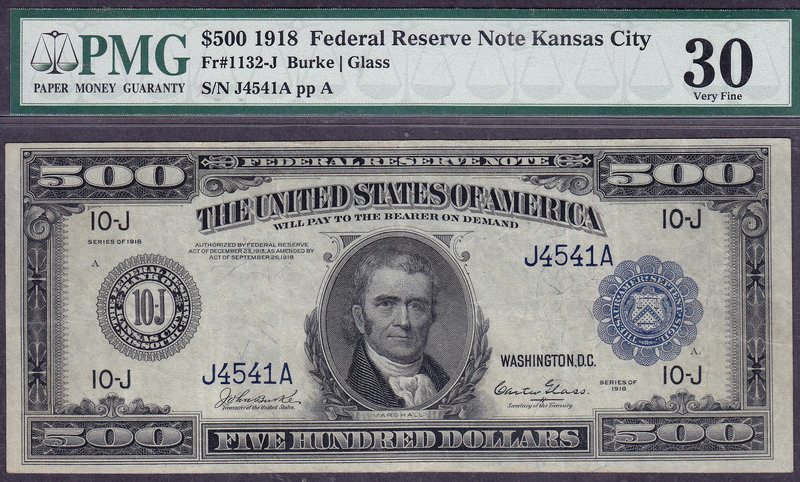 At the Heritage auction held on April 25th, 2014 in Chicago, a 1918 $500 from the more common Chicago district sold for $32,990 in a PCGS-35 holder.